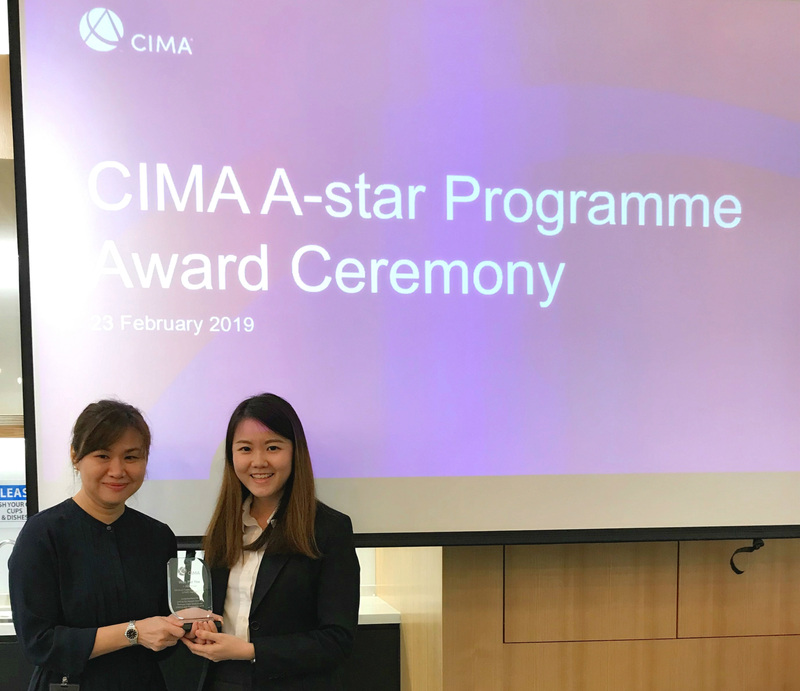 UTAR Faculty of Business and Finance (FBF) Bachelor of Commerce (Hons) Accounting alumna Wan Pui Yee was awarded the “High Achiever Award” during the Chartered Institute of Management Accountants (CIMA) A-Star Programme Award Ceremony held at CIMA SEA’s Office at First Avenue, Bandar Utama on 24 February 2019. Along with six other Accounting alumni, namely Hew Jun Jie, Loh Dip Yee, Loh Yee Wah, Kevin Tan Kah Seng, Yan Kit Wai and Chong Jia Hao, Wan also passed the final exam of the CIMA A-Star Programmme. 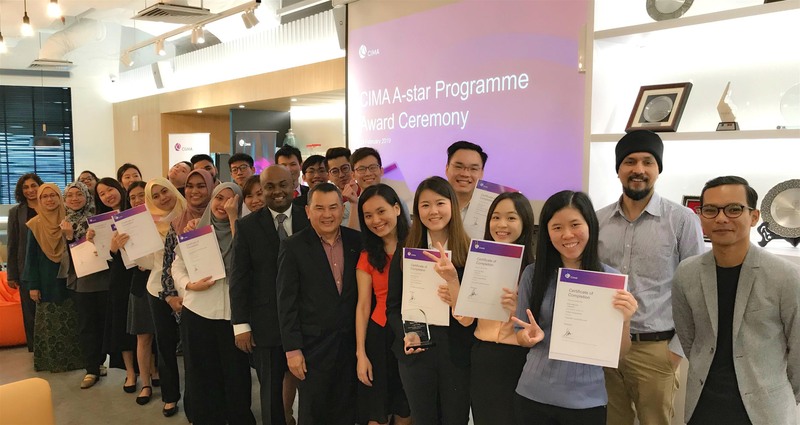 Launched by CIMA in October 2018, the A-Star Programmme is a fast track avenue for nominated top achievers from selected prestigious Malaysian universities to obtain the coveted CIMA Professional Qualification upon passing only one final exam, which is the Strategic Case Study, and fulfilling the requirement of having a minimum of 36 months of relevant working experiences. To Wan, getting the “High Achiever Award” is akin to achieving the highest mark among all the A-Star candidates as well as being the top scorer in Malaysia. Currently an FBF Department of Finance lecturer, Wan said, “It’s a joy to know that my hard work pays off. It’s certainly not easy to have to juggle my work and the six-week revision for the final exam.” Thanking CIMA instructor Cheah Ai Ling for the eight-day intensive revision classes, Wan also recorded her appreciation to Channa Gunawardana and his team of instructors for the online lectures who not only provided many useful materials, but also taught many techniques related to the case study. Wan, who also completed her Master of Philosophy degree at UTAR, attributed her success to the foundation she gained from UTAR’s three-year Accounting degree programme as well as the critical thinking skills from the Master of Philosophy degree programme. 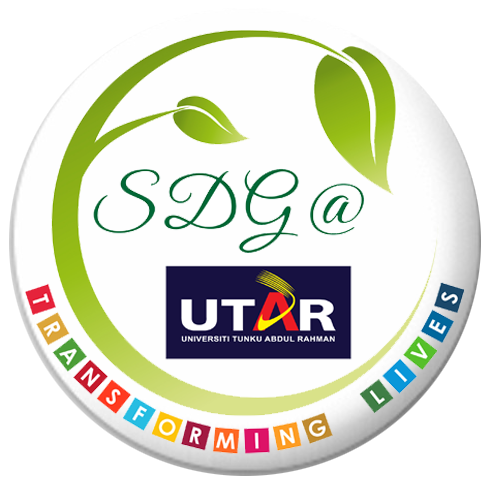 “UTAR’s Accounting programme had provided me with the comprehensive knowledge and skills, be it in accounting, finance, business or economics. I believe they have been essential in helping me cope with the preparation for the CIMA Strategic Case Study exam,” she explained, adding that the Master of Philosophy degree programme also helped her to improve her critical thinking and writing skills, which are important at work as well as attempting the exam. “By combining the knowledge and skills gained from my studies at UTAR, I could easily apply the business theories to the case studies as well in the exam. In a nutshell, my UTAR education experience has definitely groomed me well in many ways, be it in building my career or in passing professional exams,” Wan mentioned. Very much like Wan, Hew also completed both his Bachelor of Commerce (Hons) Accounting degree and Master of Philosophy degree at UTAR, and is currently a lecturer of FBF’s Department of Commerce and Accountancy. As one of the nominated A-Star Programmme candidate who passed the final exam, Hew concurred with Wan’s sentiments, “The Accounting undergraduate programme taught me business and accounting knowledge through the subjects offered in the rigorously developed course structure, while the latter postgraduate programme taught me to think rationally and critically when writing thesis. As an academic, these knowledge and skills have greatly facilitated my job and helped me to achieve my goals easily.” Hew added that such foundation also provided him an edge especially during the Strategic Case Study exam. UTAR was one of the Malaysian universities chosen for the CIMA A-Star Programme alongside the International Islamic University Malaysia, INTI International University, Multimedia University, SEGi University, Sunway University, Tunku Abdul Rahman University College, Universiti Teknologi MARA and Universiti Utara Malaysia. 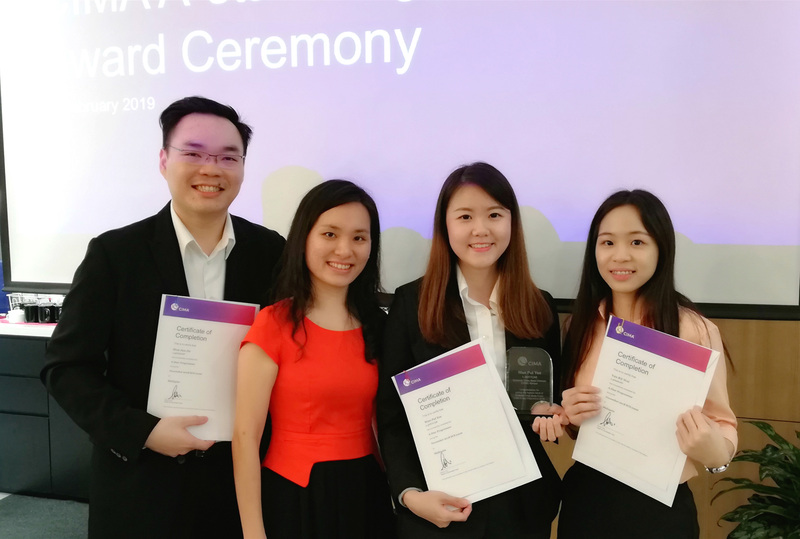 “Besides being a fast track avenue for top achievers in some of Malaysia’s top universities to gain the CIMA professional qualification, this A-Star Programme was also held for the first time ever and Malaysia is one of the countries involved in the programme’s pilot testing. It is truly an honour that CIMA is confident in our students and has invited us as to be a part of this pioneer programme,” said FBF Department of Commerce and Accountancy academic Dr Wong Kee Luen.